Using data published by the FCRF, it would seem that since 2005, the market's main colored stones have seen a healthy rise in appreciation. The overall winners however were the Pinks, showing the highest price increases on average. As we all know by now, the prices of fancy colored diamonds are directly related to their rarity (perfect 4Cs), coupled with the basic economic principles of supply and demand. So it would seem that the driving factor behind the constant price rise in Pinks and Blues is a steady increase in demand with a limited (or even non-existent) supply. Most of the rare blue and pink diamonds, especially those appearing in the auctions, are pre-owned stones, not freshly mined. Understanding this supply-demand balance is critical for a diamond investor, especially when determining which diamonds have the potential of achieving the highest ROI when liquidated. The past few years have truly been exceptional when it came to record breaking diamonds. A total of 9 diamonds made headlines during 2017, with 4 setting new records for overall price paid in their color category; and 5 breaking previous records for price per carat paid. 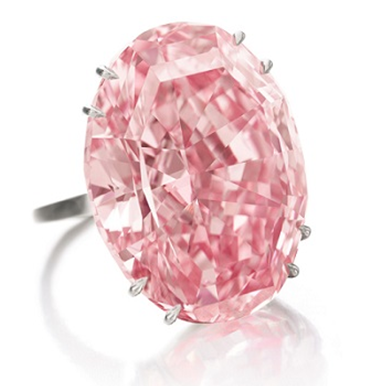 Perhaps the most notable stones from last year was the 59.60 carat Fancy Vivid Pink diamond known as the Pink Star which sold in Hong Kong back in April, and acquired by Chow Tai Fook, for $71.2 million, essentially dethroning the Graff Pink for most expensive pink diamond in the world. It also dethroned the Oppenheimer Blue for the title of highest price ever paid for a colored diamond at a public auction. Last year was no exception either with multiple colored diamonds breaking price per carat records. Perhaps the most notable diamond from 2018 was the Pink Legacy, a VS1, 18.96 carat, emerald cut, Fancy Vivid Pink stone, previously owned by the Oppenheimer family. The diamond was sold during Christie's Geneva Auction on November 13, where it fetched $2.7 million per carat. This marked the highest per carat price ever paid for a pink diamond of its caliber, dethroning the Pink Promise which held the title previously. With a percentage so small, it would not even be proper to consider it a decline. It is also important to keep in mind that, while these auctions have great influence in the world of investing, they only account for a fraction of sales for precious gems and jewelry throughout the world. 2018 also saw a small decline when compared to 2017, however the speculated reason for this drop is not a matter of diamond quality but quantity, and investor education. 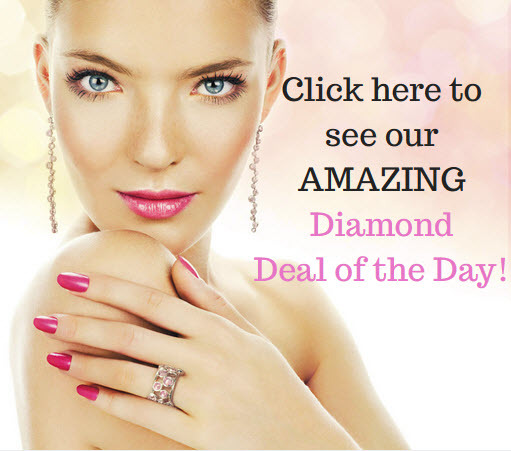 Colored diamonds are a long term investment, meaning they are not meant to be liquidated as soon as purchased. Appreciation for most diamonds is notable only after 1-2 decades. Also, Investors today have started to educate themselves on how colored diamonds are an excellent alternative investment and hedge against financial turmoil. The combination of the above means that less and less record shattering diamonds will be showing up at auctions in the near future. Investors will opt to keep them for themselves, and allow for their stones to appreciate. As for the diamonds that do end up for auction, not all will be sold; investors have become extremely selective when it comes to buying diamonds, looking for stones that are as close to perfect as possible. The Argyle mine has significant influence on the diamond market. Being one of the most influential mines in the industry, it does not only provide 90% of the world’s pink diamonds, it also produces diamonds with a pink hue so unique, it is unrivaled by any other. Each year the Tender sets a new benchmark for quality and price, and 2018 was no exception. Last year's Tender was the most successful in the company's 34 year history. With a remarkable 400% diamond price appreciation it managed to surpass 2017's "The Custodians of Rare Beauty" and 2016's “Chroma Collection.” This is surely a sign that competition for such exclusive colored diamonds is increasing rapidly. While information regarding selling prices, owners etc, is not disclosed by Rio Tinto, there could be a few reasons behind this record setting year. 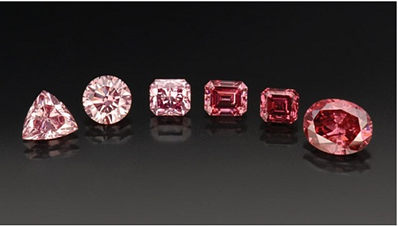 Firstly, 2018 featured some pretty impressive Hero Stones (the tender’s top lots) including the largest ever Purplish Red and Pink diamonds to be sold at the tender. It should also be mentioned, that it was the first time in 5 years that a diamond weighing more than 3 carats was offered for sale. The second reason could potentially be that the number of private investors and collectors has been increasing. The tender’s attendance is on an invitation basis only, so by increasing the number of affluent and competitive investors willing to offer more than other dealers invited, it can play a major role in driving average prices. No matter what anyone claims for the remainder of 2019 and beyond, the unfortunate truth is that nobody can accurately predict what is going to happen this year. What we can do however is use past experiences and logic to speculate. Seeing that this industry is among the few that have yet to be fully explored, it is safe to assume that the maximum investment potential has yet to be reached. The key to achieving this lies in education. 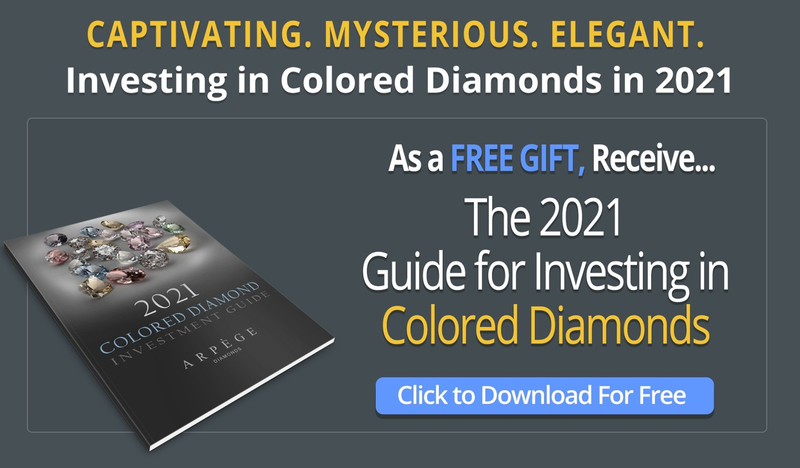 The more investors are educated on the potential hidden within colored diamonds, the more likely they will be to invest in the market. In turn this will also benefit the value chain from mining companies, to diamond polishers, to jewelry manufacturers, creating an overall positive atmosphere in the market. This positivity will then attract even more investors to increase their spending, ultimately causing a prosperous cycle. Just take a second to think of how much investors currently put into gold and other assets, what would happen if that was replicated in the diamond industry? Undoubtedly it would be enough to invigorate it as a whole. But again, this is nothing but speculation. What are your thoughts on the evolution of the diamond industry? Are you optimistic? Let us know! And as always feel free to follow us on Twitter and LinkedIn.